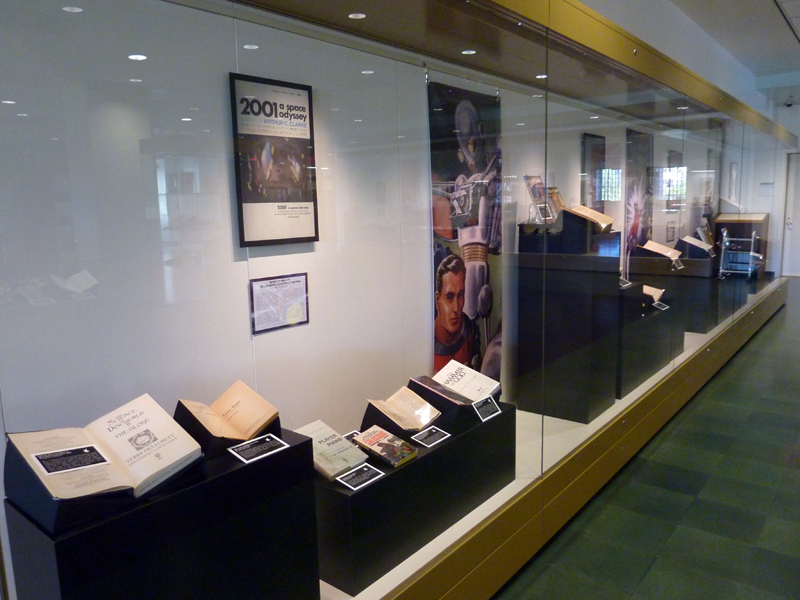 The modern genre of science fiction began when Hugo Gernsback published Amazing Stories, the first publication devoted to science fiction literature, in 1926. 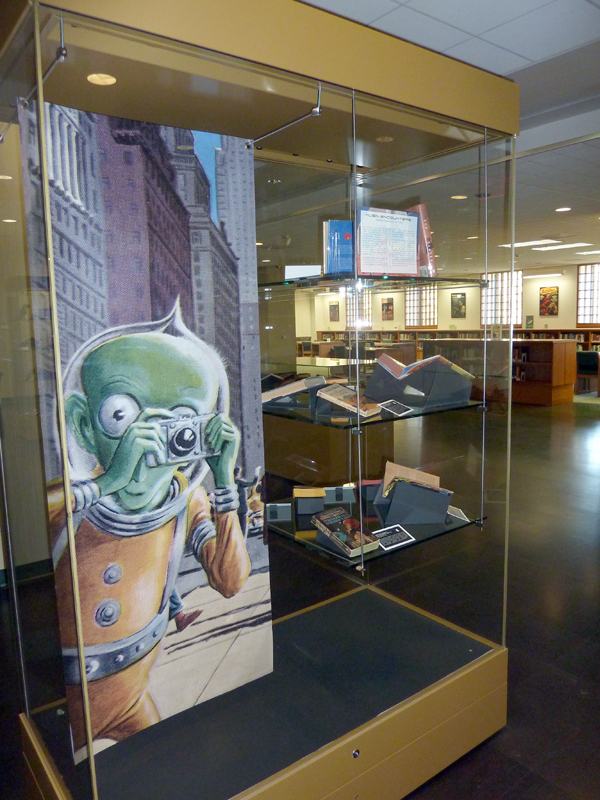 In his opening essay Gernsback described the genre as encompassing "…the Jules Verne, H.G. 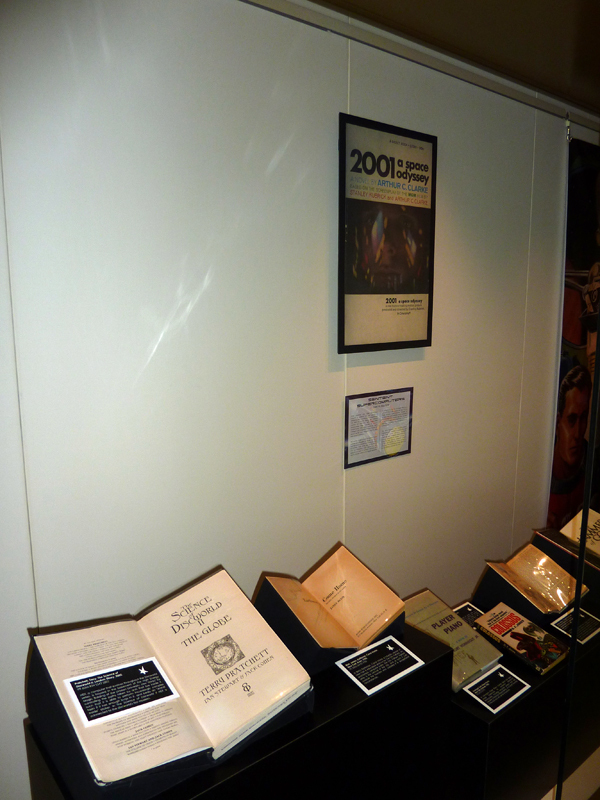 Wells, and Edgar Allan Poe type of story—a charming romance intermingled with scientific fact and prophetic vision." 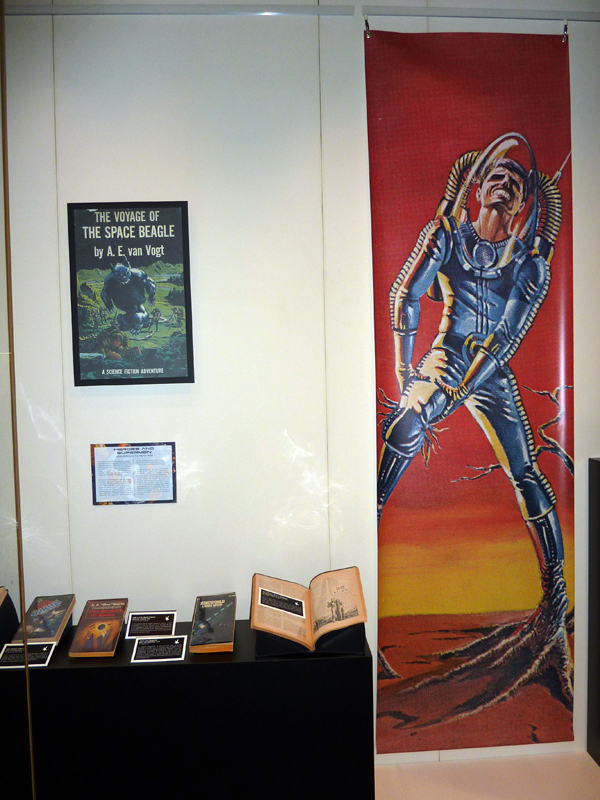 Since that time, science fiction has come to encompass a broad swath of fiction, which, in addition to serving as an outlet for expressions of joy, imagination, and creativity, has functioned as a tool we use to explore and more fully understand ourselves. 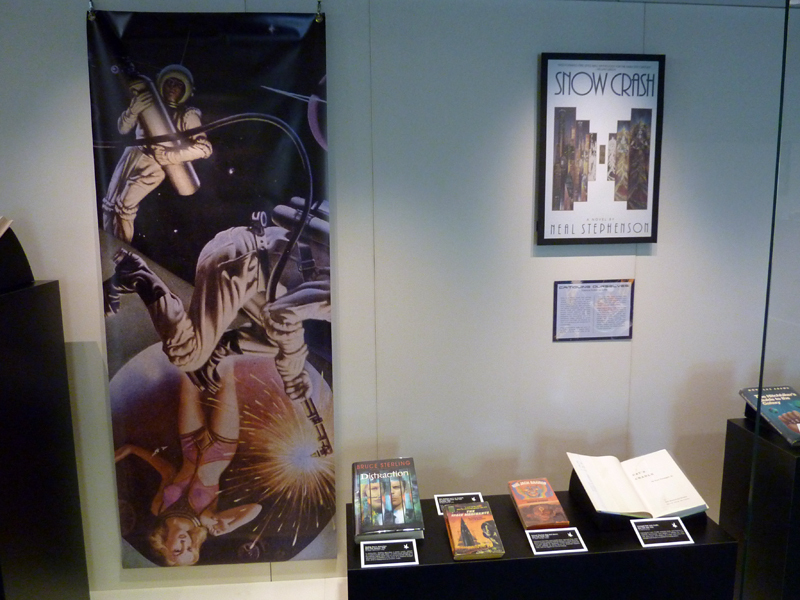 Whether questioning our confidence that humanity is capable of coping with the problems of science and technology, or examining faith and belief versus evidence, science fiction literature has been a space in which we are free to imagine and explore. 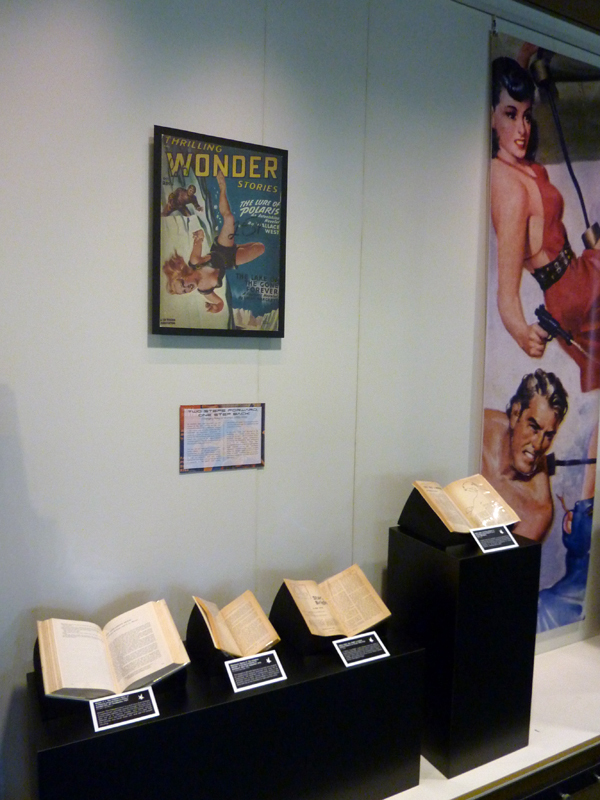 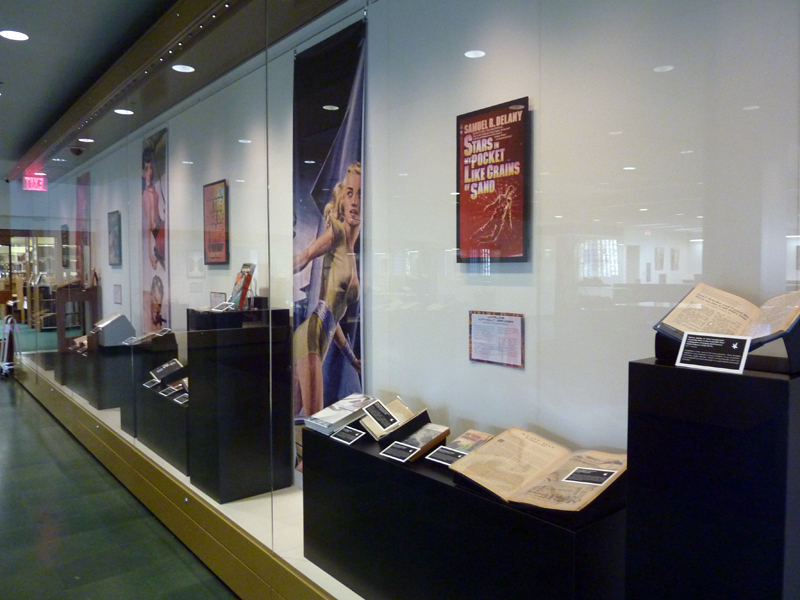 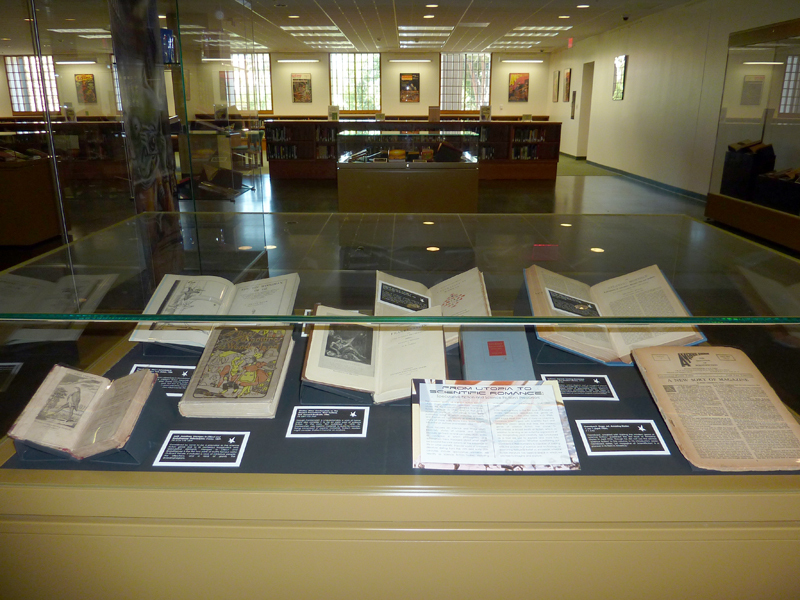 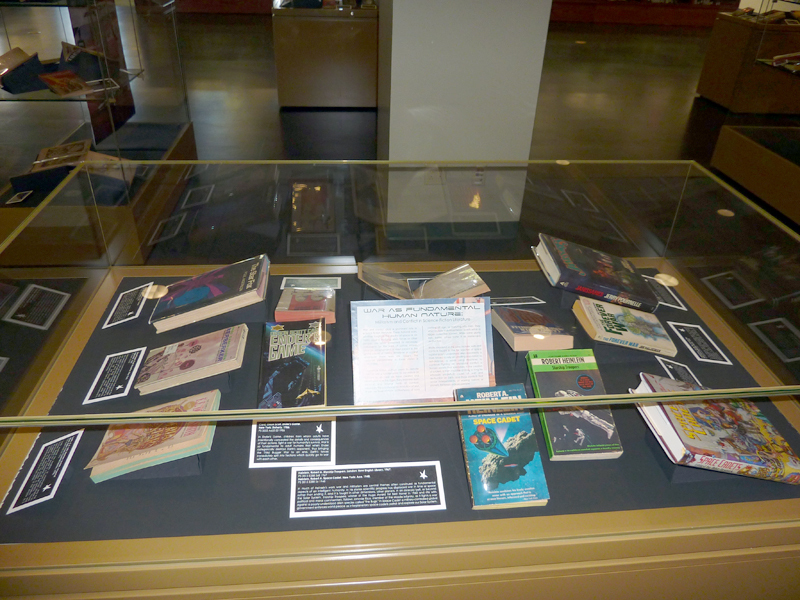 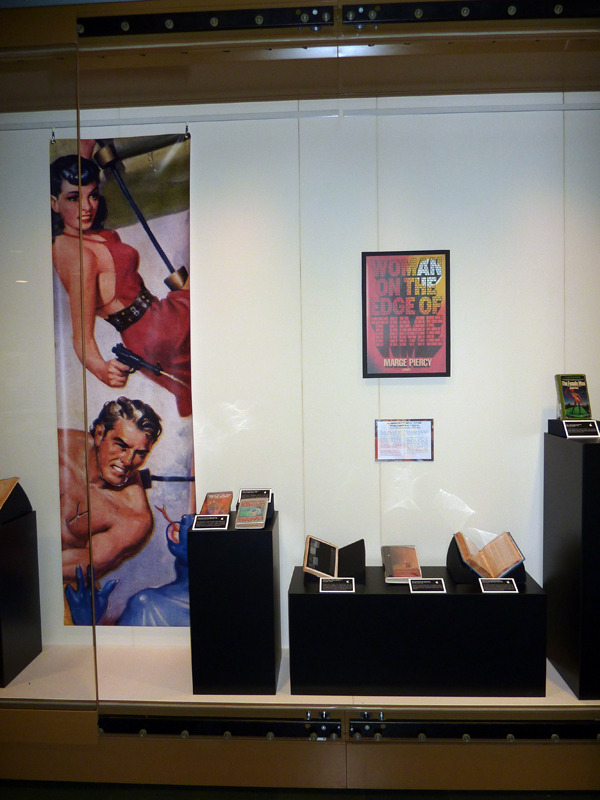 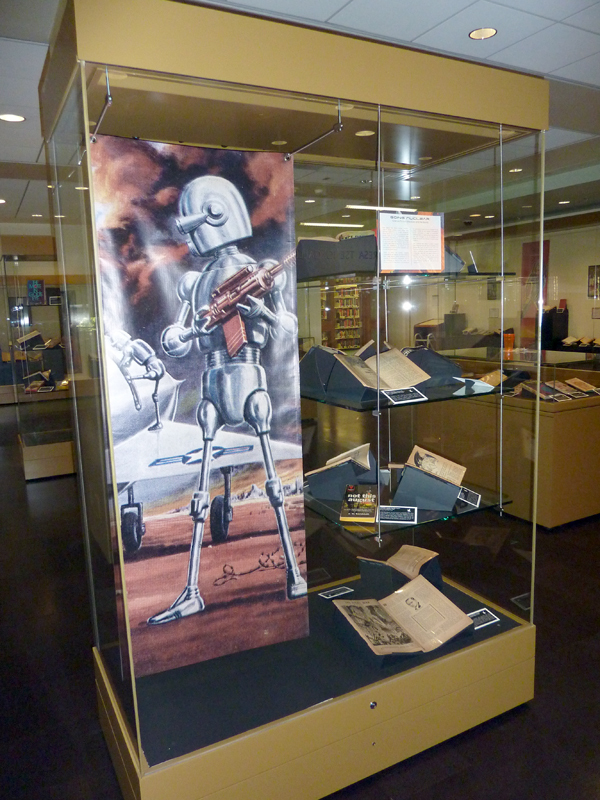 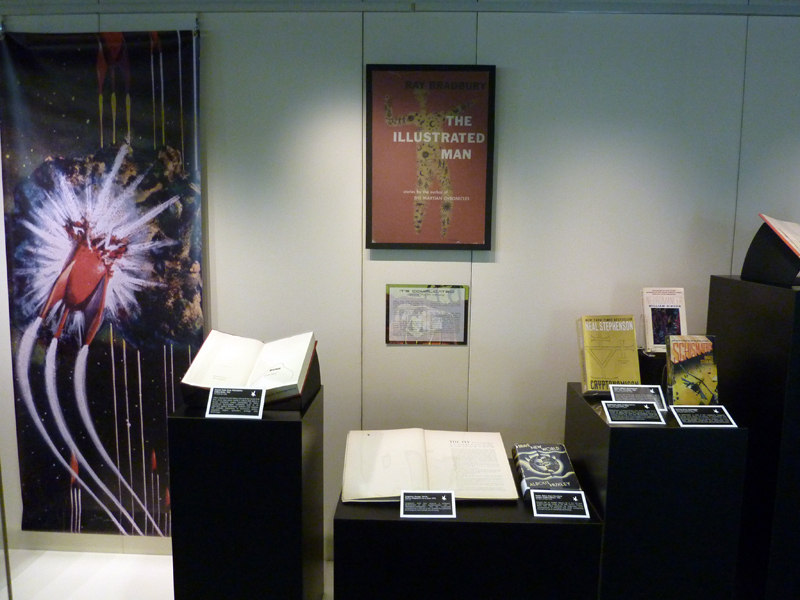 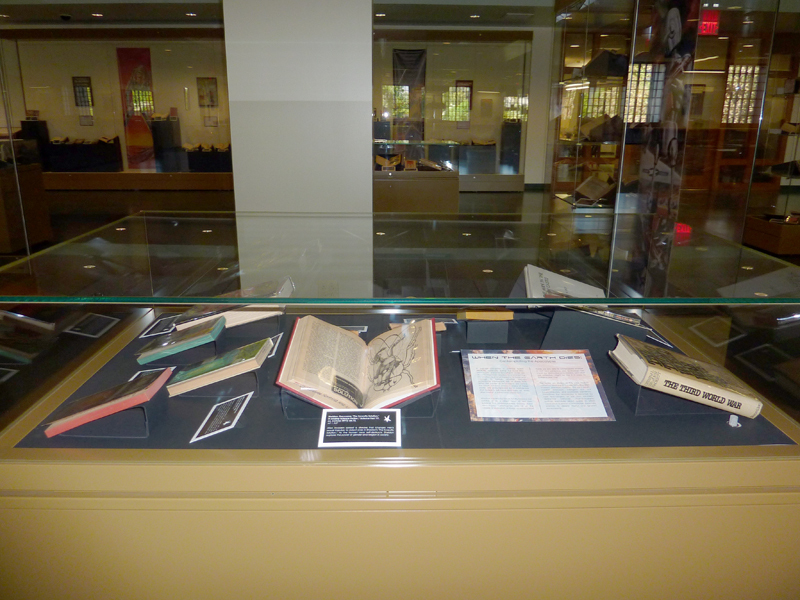 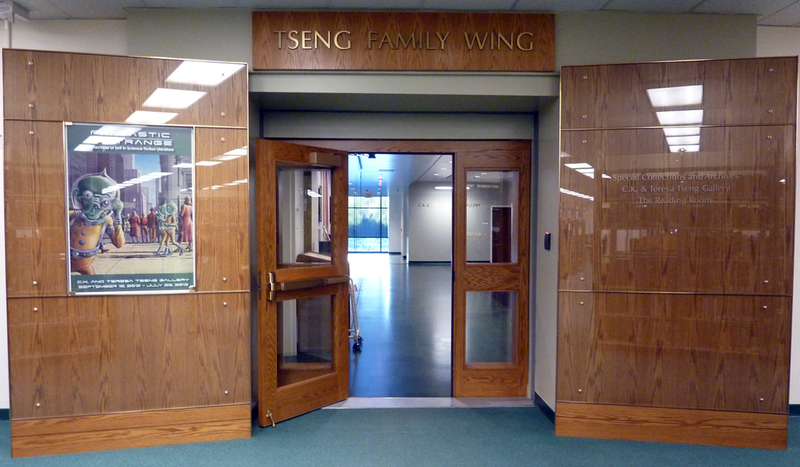 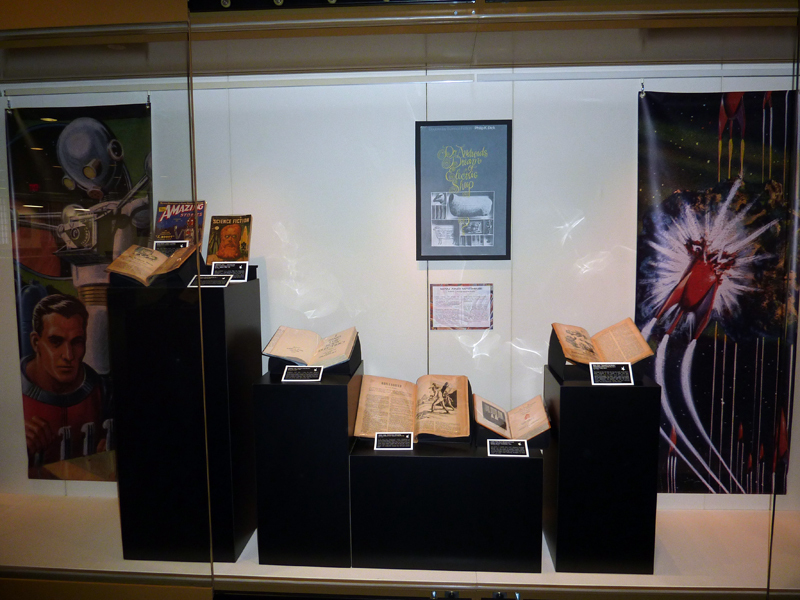 On display in the Library Exhibit Gallery are numerous pulp publications, short story collections, novels, and other science fiction works by over 100 authors, most of which were generously donated by Milt Stevens, a long-time member of the Los Angeles Science Fantasy Society. 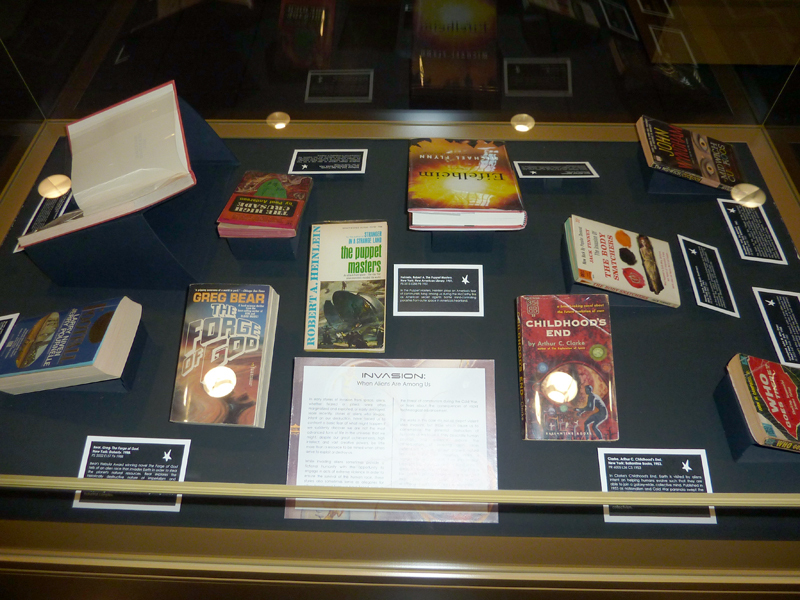 Join us as we celebrate the fantastic and strange in science fiction literature. 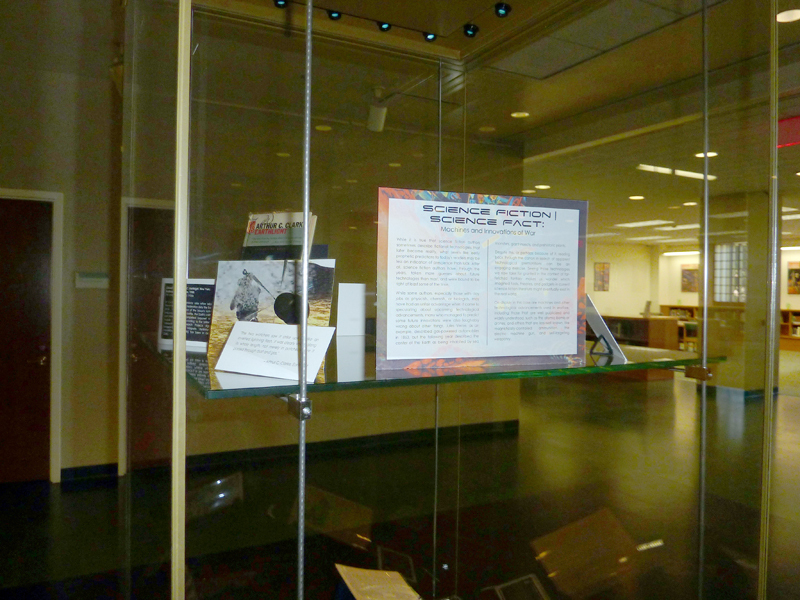 For more information call (818) 677-2638. 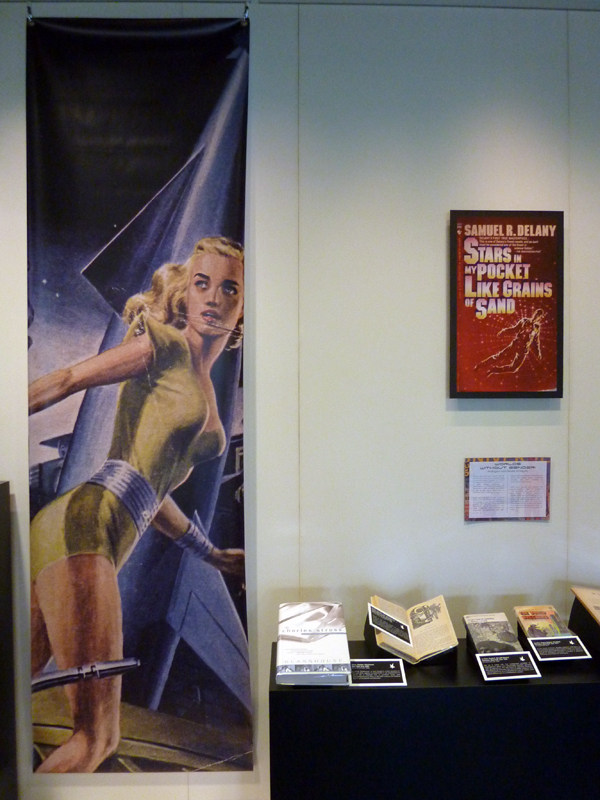 Poster image from the cover of Galaxy Science Fiction, August 1952.